Maintaining sobriety is always challenging, but it’s especially difficult to stay sober during the holidays. Holidays like New Year’s Eve are known for late-night parties, drinking, and drug use, which certainly doesn’t create a positive environment for recovering addicts. If you’re in recovery, you’ll want to avoid the typical New Year’s Eve scene. But that doesn’t mean that your night has to be boring. Start your year off on a positive—and fun—note by trying these five sober New Year’s Eve activities. Recruit a few sober friends or friends who are supportive of your sobriety for an alcohol-free night out. You can go to a nice restaurant and indulge in dessert, head to a late-night movie, or go ice-skating. Look for an alcohol-free comedy club, a midnight concert, or any other event that sounds both fun and sober. Whatever activity you decide to do, make sure that it’s away from the hustle and bustle of alcohol-fueled New Year’s Eve festivities. One reason drugs and alcohol are so addictive is that they interact with the brain’s dopamine reward system, which is linked to feelings of pleasure. But eating a nice meal, laughing with friends, or enjoying a fun activity will also release dopamine, this time in a healthier and more positive manner. One way to ensure an alcohol-free New Year’s Eve is to designate yourself as the host. Invite friends over for a spirited game night, complete with tasty snacks and non-alcoholic beverages. Fun game night options include Pictionary, Charades, CLUE, Monopoly, Taboo, Cranium, Cards Against Humanity, or Catchphrase. You can also find versions of cheap or even free party games in the App Store on your phone. Playing games, laughing, and chatting with good friends is an excellent way to start your year off feeling positive and grateful. Similarly, you can host a themed alcohol-free party. Call other friends who are in recovery, friends who aren’t into the partying scene, or friends and family who will want to support your plans for New Year’s Eve sobriety. Decide on a fun theme: a Murder Mystery Dinner, an ice cream sundae party, a movie night, etc. This is the perfect opportunity to relax with supportive friends, share some laughs, and ring in the New Year both sober and smiling. Of course, don’t plan a party if you think it’ll cause too much stress, which can also be a trigger. Consider asking a friend to co-host, or having friends sign up to bring dishes, movies, plastic ware, or anything else you’ll need. Go get a mani-pedi, a massage, a facial, a haircut, or a makeover. If no salons are open or you would rather not go out, just stay at home and create your own spa night. You can watch favorite movies, eat favorite snacks, take a warm bubble bath, dance around the living room to catchy music, or anything else that makes you feel happy and relaxed. If a spa night isn’t your thing, you can do other activities you enjoy, like heading to the beach or going for a hike with a friend or canine companion. Some recovering addicts don’t have a close support system, or won’t be able to find friends who are willing to sacrifice a night of partying. If this is true for you, you can still spend a relaxing evening at home reflecting and meditating. Think about what you’ve experienced in the past few years and how you want this year to be different. Visualize all of the good things you’ll achieve in the year ahead. Consider making a list of resolutions. If you do have other friends in recovery, invite them over to reflect on the positive progress you’ve made and will continue to make in the upcoming year. New Year’s Eve is a time to celebrate leaving the past behind and resolving to improve and flourish in the year ahead. You don’t want to start the year in a risky position that’s likely to trigger drug or alcohol cravings. Instead, you can spend your evening having fun in a more positive and fulfilling way. This New Year’s Eve, try avoiding the alcohol-soaked party scene, and opt for one of these sober New Year’s Eve activities instead. 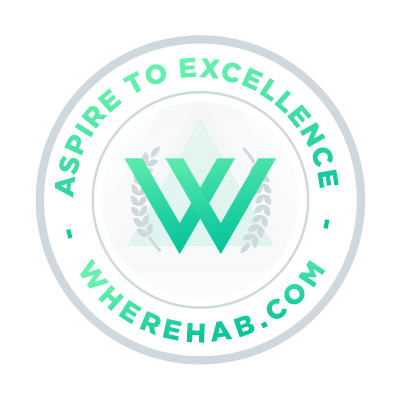 Looking For The Best Addiction Rehab in Florida? Addiction Recovery 101 – What if I Relapse?